Updated 10/7/14: This year’s annual meeting is October 24-25, 2014. If you can make it, it is one of the most informative gatherings in the area whether you are a patient, caregiver, or provider. This one and a half day educational seminar is geared towards nephrologists, nurses, patient care technicians, social workers, and dietitians, as well as patients, their family members, and caregivers. The educational collaborative is designed to assist providers and patients in adjusting to the heightened focus on patient- and family-centered care. Here’s the best part! Registration for patients and caregivers is free! You pay your own travel, lodging, and food but the event fee is zero! Here’s a Link to the Network website that details the event and where you can register. This weekend (June 28-29) I attended the ESRD Network of Texas (14) annual meeting. I’m exhausted today but almost shaking with excitement about the many things I learned and experienced. I added at least a dozen ideas and drafts to the blog just from some of the ideas I got while there. My pad (mentioned in “WiFi and Dialysis”) is full of notes from the meetings that started Thursday night and finally concluded Saturday afternoon. I met so many interesting people and talked until I was hoarse. The End Stage Renal Disease (ESRD) Network for Texas (www.ESRDNetwork.org) is a massive operation that attempts to coordinate all ESRD issues for the entire state representing almost forty thousand patients. It brings together professionals like doctors, nurses, nutritionists, social workers, technicians, vendors and patients so that we can collaborate and advance the education and care for all involved with ESRD, Chronic Kidney Disease (CKD) and Transplants. Watch this space for more about what I got out of this event! I will even be tell you about an experience I had with a dialysis chair representative that wants me to participate in the design of the next generation chair! 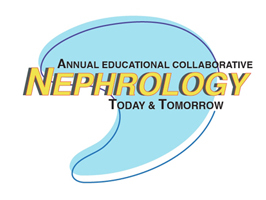 This entry was posted in CKD, dialysis, ESRD and tagged convention, dialysis, ESRD, meeting. Bookmark the permalink. Great blog posts. I am a true believer in ‘the voice of the patient’. Speaking out and sharing thoughts and experiences about the management of a serious chronic disease in our health care system is important. I look forward to following your posts. Thank you. I didn’t see your presentation at the conference, D.r Bear, but I heard it was most informative and provocative. Was there a recording of the lecture? I’d love to view it.